Untreated infection can have serious repercussions for your dental and general health. 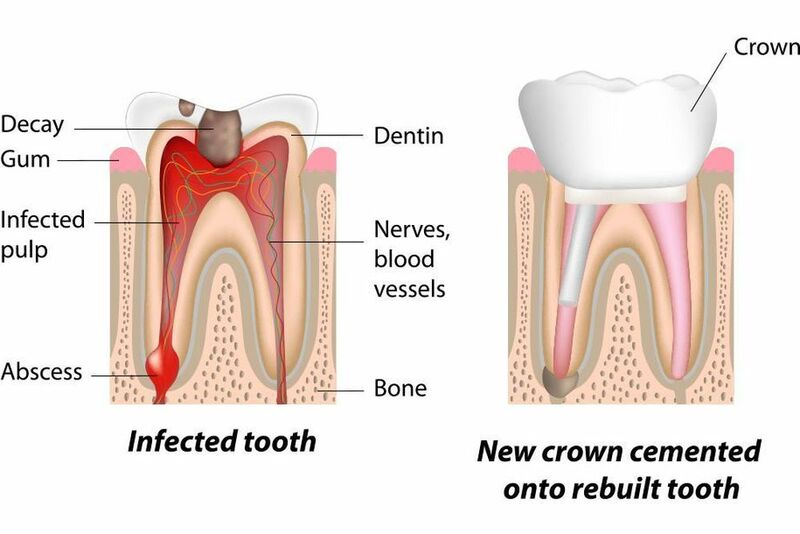 Dr. Stephen D. Lipman offers root canal therapy to remove infected tissue to help preserve and save the tooth. By using advanced techniques and effective anesthetic to perform root canal therapy at our Windsor, CT, office, Dr. Lipman can ensure your comfort and safely restore your health. Root canals are the hollow chambers that extend from the center of the tooth to the end of the roots. Within these canals, the pulp of a tooth contains blood vessels, nerves, and connective tissue. When the pulp of a tooth becomes inflamed or infected, it may result in pain. Deep decay, large fillings, a crack or chip in the tooth, or trauma to the face are some causes of inflammation or infection. It is important to understand that infection may not always cause symptoms, so it is imperative to attend regular check-ups so Dr. Lipman can monitor your health. Dr. Lipman usually completes root canal therapy in two office visits. At the first appointment, Dr. Lipman will take x-rays to view the shape of the root canals and determine if there is any infection in the surrounding area. Then he will administer a local anesthetic to thoroughly numb the affected area. Once the anesthesia takes effect, Dr. Lipman will drill an access hole into the tooth so that he can remove the pulp, bacteria, and decayed nerve tissue. He may apply medication inside the tooth and place a temporary filling. Otherwise, he will fill the root canals with a rubber-like material called gutta-percha and seal the access hole. The main benefit of undergoing root canal therapy is the preservation of your natural tooth. This is nearly always preferable to extraction, since you will not experience any jawbone deterioration. At a second visit, Dr. Lipman will remove the temporary filling, fill the pulp chamber, and place a permanent dental crown. The main benefit of undergoing root canal therapy is the preservation of your natural tooth. This is nearly always preferable to extraction, since tooth loss can cause jawbone deterioration. Since the primary alternative to root canal therapy is extraction of the affected tooth, you would then need a traditional bridge or implant-supported restoration to replace the missing tooth and maintain proper function and tooth alignment. These alternatives are more time-consuming and more costly than root canal therapy, and only dental implants prevent jawbone deterioration. Internal infection will not clear up on its own. The condition can lead to widespread tooth loss and even affect the health of the surrounding bone. Dr. Lipman can easily determine if root canal therapy is appropriate for your needs during a visit to our practice. Contact our office today to schedule a consultation and learn more. Our cosmetic dentist looks forward to treating you and your family in Windsor, Connecticut. To schedule your consultation, or to request more information, please contact our staff today!